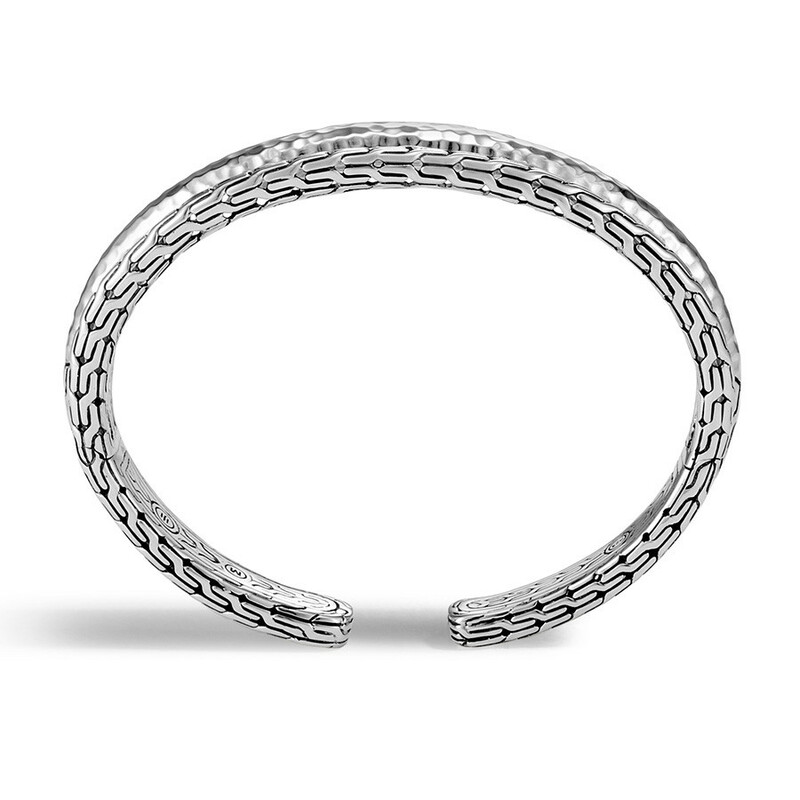 You’ll hit a style home run in this bracelet from John Hardy’s Classic Chain collection. 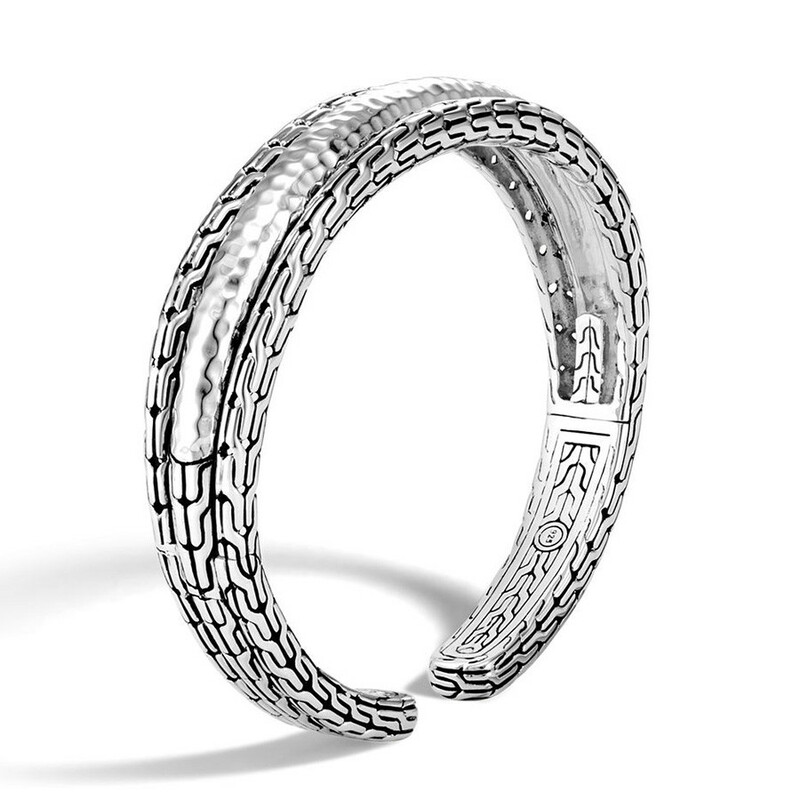 Crafted in sterling silver, it features a three-bracelet look, with a center displaying hammered precious metal bookended by two rows embellished with the designer’s chain motif; a design detail that can be found inside and outside the cuff, as well as on its pretty profile. 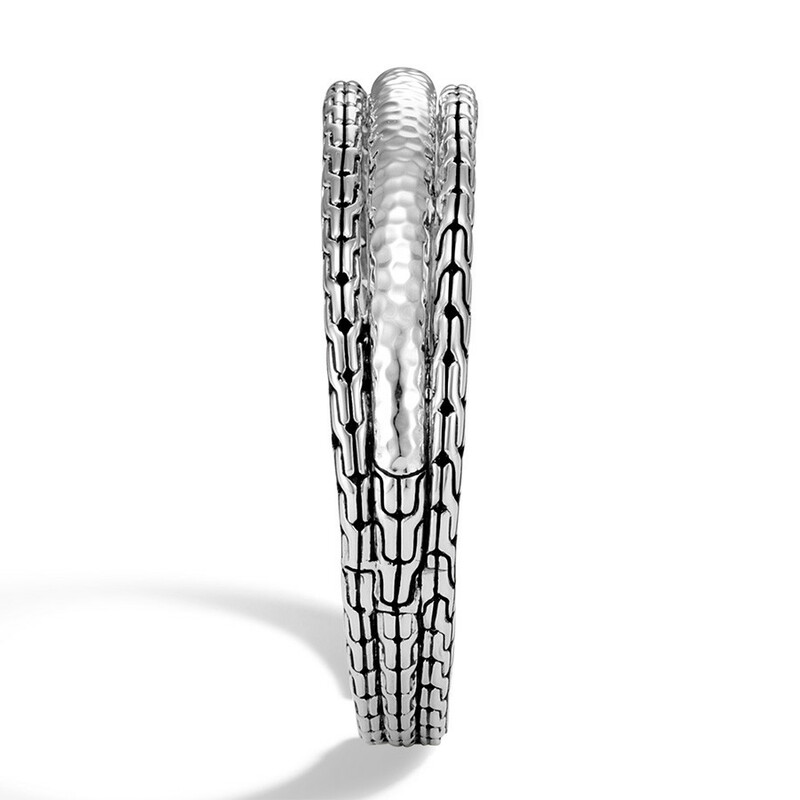 This John Hardy cuff bracelet scores high fashion marks.